We have all experienced the power of a chilli pepper at some point in our lives, with the flaring of the tongue and the weeping of the eyes, but there are other properties that Chillies possess. These unfelt, and largely unheard of, properties can offer a number of health benefits - whether you’re a chilli connoisseur or a novice. Scientists believe chillies offer a lot more than just flavour to our diet. Not only do they contain large amounts of vitamins A, C and E but the’re lots of other benefits from your “tingling tongue”. 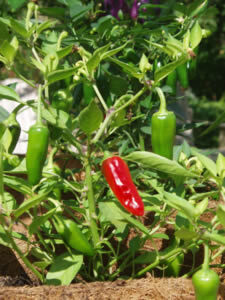 The active component in chillies, the bit that creates the burn, is Capsaicin. This compound has been proved to stimulate appetite, help clear the lungs and nasal passages, improve blood circulation and act as a pain killer for rheumatoid and arthritis sufferers. 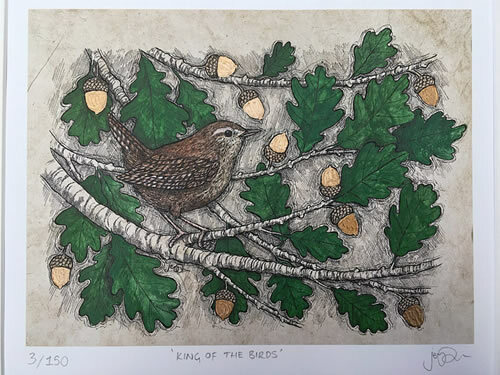 It can also cause the brain to release endorphins into the bloodstream, which can induce a natural feeling of well-being similar to the one achieved by long distance runners. This may help to explain why research on mice has shown consumption of capsaicin could offer hope for weight loss, while studies on humans revealed adding chillies into your diet can reduce the risk of cardiovascular disease. All these benefits come for a price of a ‘tingle’, and Joe and I love the taste sensation anyway. But with such great benefits before you even reach the taste, adding fresh chillies to any diet is very hot idea. It may be worth mentioning that, if you do bite off more than you can chew water will not help much, but drinking milk or sugar water certainly will. These little “Cherries” are perfect for serving as nibbles. Growing to about 4 cm in diameter, and ripening from green to red. At around the same heat as a Jalapeno means only the toughest tasters will attempt this one on its own, but its great flavour makes it perfect for stuffing with cheese, meat or fish and grilling. 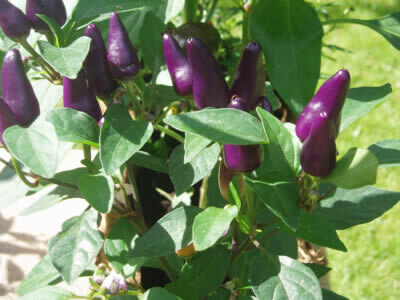 This chilli will grow to just over 5cm in length and fruits all summer long. 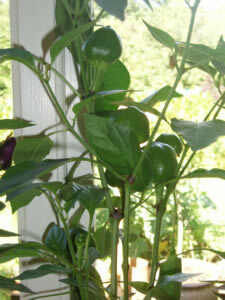 Not only tastes great but like our other chillies looks lovely on the windowsill. Slightly hotter than Jalapeno peppers, this chilli will add rich heat to any dish. Great to show and sizzle, and especially tasty in salsas. Small, colourful and really ornamental, ripening from lavender to red and blushing purple, bronze and orange - and all colours in between. 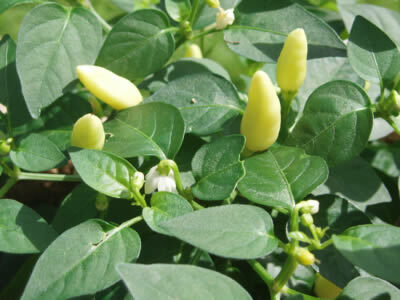 This plant will grow to 30cm and produce chillies about 3 cm long. These vibrant little fruits produce a heat hotter than the Apache though, so be gentle ! Another colourful plant that will look fantastic on any windowsill, ripening from cream to red, flashing yellow and orange in the middle. 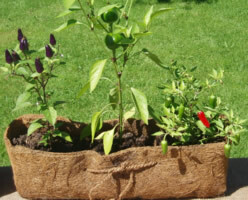 Chillies grow to about 3cm, and a 20cm high plant will generate plenty of fruit. This chilli is a formidable force; producing nearly twice the strength of the Apache, it could blow your taste buds away unless you proceed very delicately. It’s ideal though for loads of different dishes, pickling or simply adding to salsas and other sauces. Although some of the chillies available in our troughs are not for the faint hearted, they are very far from the hottest chillies out there and can be a sumptuous addition to any meal, salad or salsa. Fresh red fruit is often two to three times hotter than green (or unripe fruit). The seeds and white pith of the fruit are the hottest part, so remove them if you don’t like the burn. Generally, the smaller the chilli the hotter it will be. Soaking a chilli in vinegar has the effect of distributing the hot chilli flavour throughout a dish. Discarding the vinegar and soaking once more can reduce the heat of a chilli further. The tip of a chilli is the mildest point, so to sample its heat cut off the end and taste with gentle caution ! 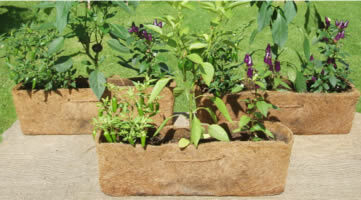 12 litres of our organic coir mix. it needs a nice wipe downable surface. 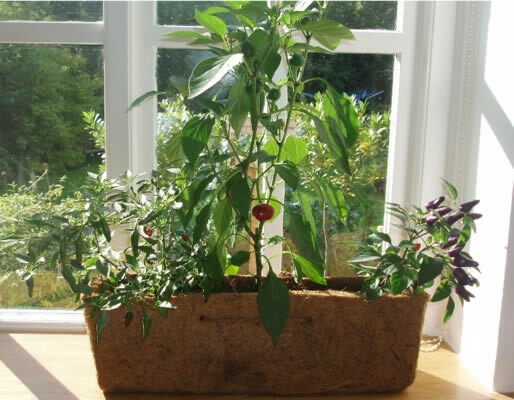 *We put three chilli plants in a trough, so they can really stretch their teenage legs as they grow up. Will try and put in any ‘special requests’, but it may depend a bit on what is ready. Although it costs a lot more to send two, the price is not double. That’s why we can offer two more cheaply. Also, I’m really proud of these gardens and would love you to spread the word !